It had to happen sooner or later. 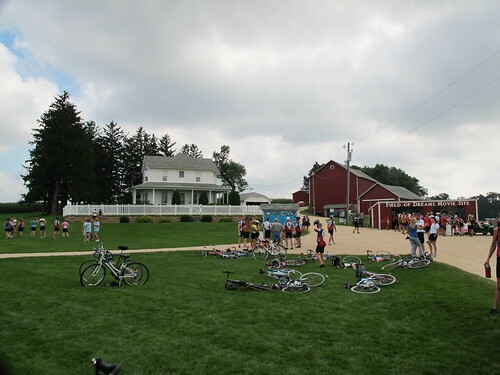 The Field of Dreams in Iowa is no more. The sale to developers who intend to turn the area into a youth baseball complex has now been finalized. The single field on the edge of a corn field will be turned into a 24-field complex, and presumably look like hundreds of others of complexes around the country. If you’re kicking yourself for not visiting it and “having a catch” with your son or dad, well, welcome to the club. I spent a year working in Dubuque and visited here a couple times. Really glad I did. The field — as it was — truly was an innocent and special place. 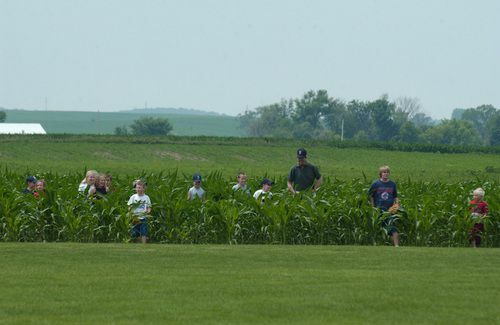 The Field of Dreams will be no more because it’s being turned into a youth baseball complex? You can still have a catch there even if the Dream has died, right? Having grown up in eastern Iowa, I’ve been there 3 or 4 times. It’s fun to see the movie set, but after buying some kitch from the souvenir trailer, and playing an awkward pickup game with the other tourists, there’s not much to do. Maybe I’m not a sports romantic, but there’s not much to it. // there’s not much to do. Went there when I was an early teen. Was going to try to swing by last spring on our way thru for a trip south that ended up getting cancelled. I followed this for a while, it seems like what would most be lost is the remote, rural feeling of the farm. People forget that the field itself was lost for a little while after the filming. When I was 19 or 20 around 1993 (could have been 1992) I visited think I have a few photo’s tucked in some box somewhere. It was nice. The night before we had stayed in Waterloo and I saw my first outdoor professional baseball game (Waterloo Diamonds). 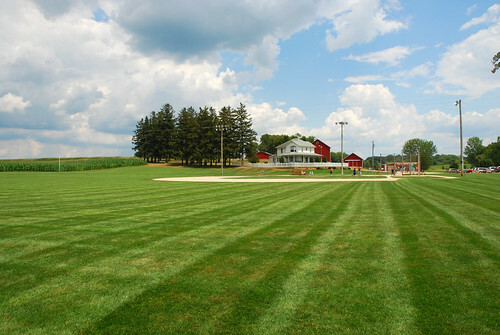 Unless the area has changed, a lot, this field is in the middle of no where – unless they keep the corn and the farm house I don’t know why anyone would need a 24-field complex. That is to say they keep the reason to go and make it a tournament touristic event. Captured audience for the tournament time. The Farmer(s) only had a donation box and sign saying to stay away from the house when I visited. T-shirts and other items where sold in town, if I recall correctly.